It’s a normal weekday at the Port of Vancouver. That means by noon, piles of steel slab cover the work yard at the docks on the Columbia River. “Steel is tied to about a third of our revenue. 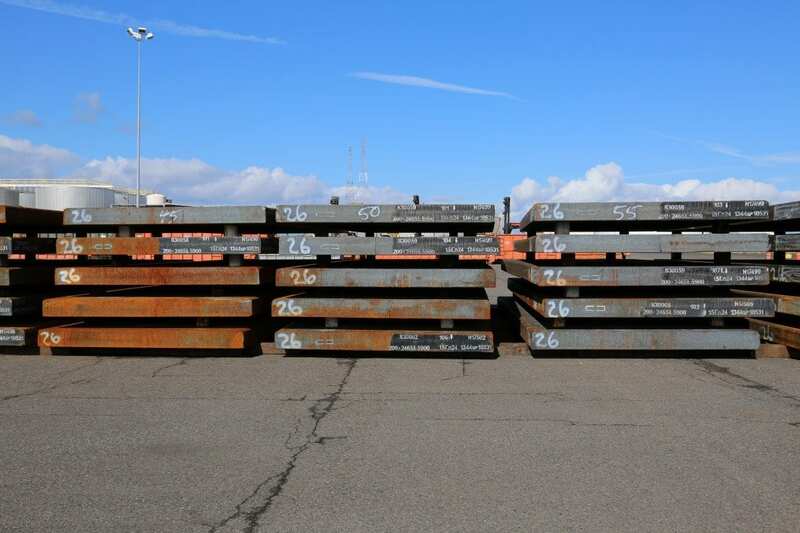 So that’s pretty substantial,” says Abbi Russell, communications manager for the Port of Vancouver in Washington state, the second-largest importer of steel products on the West Coast. In 2017, the port unloaded 712,834 metric tons of steel. The Port of Vancouver and manufacturers in the Northwest and along the West Coast are closely monitoring a 25 percent tariff President Trump recently placed on imported steel. Some steel manufacturers around the U.S. say the Trump administration’s tariffs will let them create jobs. But on the West Coast, many ports rely on steel from Pacific Rim countries that are subject to the tariffs. The tariffs have drawn criticism from factories, economists and even Republican Rep. Jaime Hererra Beutler, who represents southwest Washington — a region where many counties flipped for Trump and voted Republican in 2016. One of those did so for the first time since Herbert Hoover was elected in 1928. In a letter to the president, Herrera Beutler urged the administration to reconsider the tariffs. She said they will drive up costs for companies in nearby towns that make products from imported steel. One of them is Steelscape, a steel-coating plant with facilities in Southern California and Kalama, Washington. “None of us make our own steel so we’re totally reliant on raw materials coming in,” says Scott Cooley, the vice president of sales and customer service for Steelscape. Steelscape turns those raw materials into components of buildings and large appliances. Cooley said the tariffs could hit his company hard and may force Steelscape to look across the Rockies for domestic steel in the Midwest. But the company says transporting steel by rail costs $65 more per ton than steel arriving by ship from Asian countries. “It’s why none of the mills back East really supplied any of the mills out West,” he says. Cooley says the impacts of the tariffs will be felt far beyond his own company. At the Port of Vancouver, longshoremen are unloading a ship from Korea that’s filled with giant rectangular slabs of steel. Forklift driver Rick Anderson says for the past three weeks, all he has hauled is steel. And while he understands the benefits to the steel industry in Rust Belt states, he worries it will translate into layoffs for workers in the West. Anderson says that a lot of his colleagues have been on edge since the president announced the tariffs. One, he says, even decided to put off buying a home.